Hip sprain or strain injuries can be excruciating, affecting far more than just the affected region. A severe hip strain makes walking hard and standing up painful. Pinpointing the area of the injury and focusing on healing is essential to getting back on track. In addition, it can be invaluable to work with a Passaic County physical therapist to strengthen the muscles and ligaments surrounding the hip through hip sprain physical therapy. The leg is very much in tune with the hip joint and paying attention to both the strength and flexibility of the ligaments and muscles in the upper thigh, including the hip flexors, quads, hamstring muscles and glutes is essential. Keeping your hip flexible and your glutes strong can help you protect your labrum and avoid sprains and strains that can sideline you from your favorite sport or activity. This can all be stretched and strengthened with hip sprain physical therapy. The labrum is the soft flexible tissue ring that surrounds your hip joint, the socket cradling the ball at the top of your femur, keeping it in place. This invaluable joint is vulnerable to injuries caused by direct impact or repetitive movements like yoga, ballet, or other activity. Understanding your body’s physical limitations is an important part of keeping your labrum safe and this joint free from pain. Passaic County physical therapy can help a body heal and prepare to avoid future injuries. The physical therapists at Elite Spine and Sports Care will ensure that each individual is aware of his limitations when it comes to the mobility of his hip joints and hip sprain physical therapy. In addition our exercises will offer work on proper alignment, stretching, and strengthening. These exercises will be implemented to get your body back on track after a hip sprain or strain as well as to help you understand how to avoid future injuries. Acupuncture for athletes is a growing trend. Many athletes are beginning to learn how acupuncture can help with sports injuries. The Passaic County acupuncturists at Elite Spine and Sports Care of Totowa are well trained to work with athletes of all types. Our acupuncturists address individual needs, with an eye on easing their pain and getting them back on the field, court or track. What Is Acupuncture For Sports Injuries? The technique of acupuncture involves needles being placed along pressure points that access the body’s meridians. When placed, the nervous system senses an injury and begins sending signals to the brain that there is damage. These signals create a biochemical reaction that promotes healing to specific areas. Acupuncture essentially reminds the body that you have an injury, and that it needs to be healed. Because it uses your body’s own chemical reactions, acupuncture is a safe, non-invasive healing technique for treating injuries. Acupuncture is helpful treating sprains, strains, joint pain, swollen muscles, and muscle aches, among other issues. In fact, acupuncture can also help ward off any of these issues by stimulating the muscles and joints typically strained by an individual athlete’s particular sport. Acupuncture can also increase flexibility for athletes. This is why acupuncture can be seen as a treatment that not only heals but also enables a body to perform optimally. 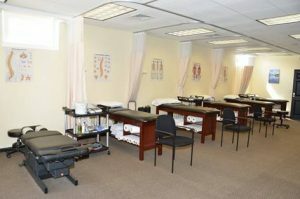 Sports acupuncture in New Jersey is growing quickly. Since it has been proven to help trigger the body’s natural ability to heal, it is grabbing the attention of athletes everywhere. With the growing awareness of the issues that traditional pain medicine can cause, athletes are looking for alternatives. Because acupuncture uses your body’s healing mechanisms, these injuries can be healed without the use of pain medication. In addition, Acupuncture has been recognized to help injuries to heal quicker than when treated with other methods. This non-invasive technique can also be used to stimulate the body for injury prevention as well. Contact our team at Elite Spine and Sports Care of Totowa today to learn more about what acupuncture can do to treat your aches and pains. We welcome the opportunity to get you familiar with acupuncture while helping you understand how acupuncture can help you as an athlete. Whether you play a sport professionally, or as an amateur we welcome the opportunity to help you learn more about acupuncture for athletes. Spring Sports Around The Corner, Is Your Body Ready? Our Totowa & Fort Lee Physical Therapists can help! Spring sports are around the corner. The question is, is your body ready? Have you been sedentary this winter or have you been active? Are your muscles ready to work? 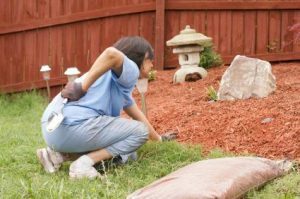 Many people retreat from strenuous activities during the winter months and then burst out of the starting gate at the first sign of warmer temperatures and greener grass. Our Physical Therapists offer a great resource for starting spring sports the correct & non-damaging way. Avoid injury and prepare your body for this spring weather! Stretching has long been thought of as an important precursor to exercise, certainly a way to get muscles limber. Often times we think of yoga as stretching. While this is true, you certainly can’t just dive into complex poses without risking injury. The same is true with spring sports. The important thing to do is to prepare the muscles needed for any given activity. Stretching before strenuous activities is a great way to get your body ready for exercise. Take Your Time Getting Active Again! Fitness is not a zero to 100 in five seconds type of thing. If you have not been active all winter you should develop a plan to prepare for your seasonal sport of choice. Plan to use an Athletic Trainer or Physical Therapist to develop a plan that will help you get back to the level of activity you once were used to! Working on your boy’s posture and alignment can be a helpful first step. The physical therapists at Elite Spine and Sports Care focus on body alignment and muscular preparation to get you operating at your peak performance level. Schedule A Sports Physical Therapy Appointment With Elite Spine & Sports Care today! The team at Elite Spine & Sports Care is dedicated to keeping clients conditioned. Take the time to prepare your body for spring sports and you will not be disappointed. Let our knowledge and experience guide you toward a better fitness level. Remember, spring sports are just around the corner! Sports Physical Therapy is Available at BOTH Elite Spine Locations! Do you know about Acupuncture & How it can help you? What Is Acupuncture? How can Acupuncture Help? Acupuncture is a form of Eastern medicine used for centuries to treat pain and health issues. Often thought of as an alternative form of treatment or medicine in the United States it is a form of health care that is revered by many. Acupuncture implements a technique of treating pressure points on a person’s skin to treat a variety of illnesses and pains. 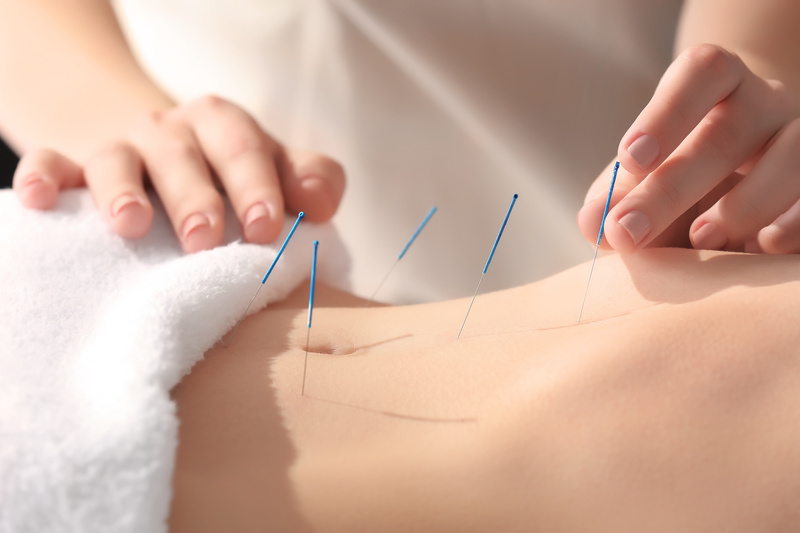 The Passaic County acupuncture specialists at Elite Spine and Sports Care of Totowa are knowledgeable and experienced in the ancient practice of Acupuncture. Traditional Chinese medicine explains acupuncture as a technique for balancing the flow of energy or life force. This energy is known as qi or chi (CHEE) — believed to flow through pathways in your body. These pathways are also known as meridians. An experienced NJ acupuncture specialist understands these meridians and how to access them to address individual issues. A qualified acupuncturist will access points on the skin that are believed to stimulate the central nervous system. This is done by using precise, specially designed needles. The nervous, lymphatic, and vascular systems are charged, resulting in the production of both biochemical and physiological changes. As a result, chemicals enter the muscles, spinal cord, and brain. These biochemical changes have an opportunity to stimulate the body’s natural healing abilities and promote physical and emotional well-being. The natural endorphins and other neurotransmitters act as natural painkillers for a body. Furthermore, these natural painkillers are much more potent than those that could be prescribed. Accompanying this natural reaction is the release of serotonin, a natural relaxant. The increased circulation resulting from acupuncture helps the muscles heal. The manned benefits of acupuncture make it a choice of treatment for a variety of issues. Included among these are allergies, headaches, anxiety, depression, back pain, and sciatica. Luckily finding great acupuncture in Passaic County is easy through Elite Spine and Sports Care of Totowa. Contact our team at Elite Spine and Sports Care of Totowa today to schedule an appointment with a reputable NJ acupuncturist. 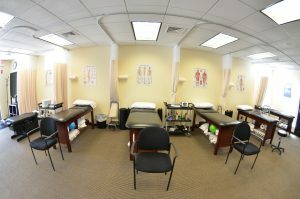 We welcome the opportunity to answer all of your questions while helping you restore your body to its ideal condition. Let our knowledge and experience serve as your guide to the healing process helping you understand what acupuncture is and how it may be able to help you heal. Passaic County physical therapists help with headaches caused by poor posture. No one likes headaches. The good news is that headaches caused by dysfunction in the neck muscles and joints from poor posture, poor breathing habits, muscle strains and soft tissue dysfunction can be resolved. Exercise and physical therapy headache relief can help alleviate your symptoms and therefore get rid of the pain. Elite Spine and Sports Care of Totowa offers physical therapy in Passaic County NJ stressing the importance of good posture and skeletal alignment. Manual therapy, proper stretching and strengthening certain muscles can all work together to relieve your headaches. If you have been suffering from headaches and are unaware of the reason you are getting them perhaps a visit to our physical therapists can help give you the answers you have been searching for. All too often a CAT scan is ordered to pinpoint the problem with no clear diagnosis. There are many causes for headaches, including physical activity, posture, hormones, and sleeping patterns. When it comes to posture it is important to be aware of your body. Being hunched over can inhibit blood flow, for example, cramping muscles and leading to headaches that can range from tolerable to completely intolerable. At Elite Spine and Sports Care, our Passaic County physical therapists can help you learn the proper body mechanics and posture necessary to lead a healthier and more comfortable life. Being active is important for a long and healthy life, something that can be difficult to achieve if you are living in pain. Let our experienced staff help you learn how to exercise, sit correctly, and stand tall in order to eliminate headaches from your life. Headache pain and chiropractic care often go hand in hand. And headaches can be unbearable for those that suffer from them. As a result, relief is sought in numerous ways. Totowa NJ chiropractors at Elite Spine and Sports Care are trained in techniques that relive headache pain and seek to discourage future headaches from appearing. Two proven techniques are spinal alignment and active release technique (ART). These treatments have proven to work well with both headache pain relief and prevention. Many people struggle for years with headache pain unable to determine what triggers them. Others know exactly what triggers their headaches. While diet and stress can be contributing factors the reality is that when a headache hits it can be debilitating. A tension headache can be soothed by the work of a NJ chiropractor. A tension headache is often caused by a slight misalignment of the vertebrae in the upper spine. A chiropractic adjustment can realign the upper back and neck and relive this pain. However, tension headaches are not the only kind of headaches. Migraine headaches can cause unbearable pain. There have been studies showing that chiropractic care can reduce the recurrence of migraine headaches. The experienced Passaic County chiropractors at Elite Spine and Sports Care utilize realignment techniques to not just relieve migraines but prevent them from reappearing. 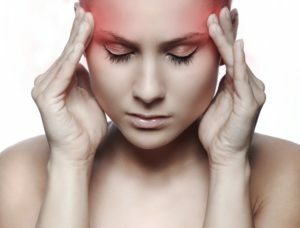 Active release technique is another method for addressing headache pain and prevention. ART is a movement based massage technique that treats problems in the soft tissues of the body. This includes muscles, tendons, ligaments, fascia and nerves. Experienced Totowa NJ massage therapists implement ART as a part of massage to relax muscles and relieve pain. Couple chiropractic care and ART together to treat your headache pain. The experienced team at Elite Spine and Sports Care of Totowa can attend to a number of conditions to help athletes return to good health and condition. Headaches can do a number on a body and the realignment and soft tissue work that NJ chiropractic care and active release technique can help soothe the pain. Contact our team today to help you work on your health. Instrument assisted soft tissue therapy is helpful treating multiple conditions. This therapy is also known as Instrument Assisted Soft Tissue Mobilization (IASTM). IASTM is implemented to treat pain and instigate healing. As a result this style of therapy can offer great relief. IASTM has been used to treat plantar fasciitis, chronic tendonitis, tennis and golfer’s elbow. Your NJ physical therapists at Elite Spine and Sports Care of Totowa are well versed in the technique. Pasaaic County physical therapy offered at Elite Spine and Sports Care focuses on reducing pain. This also means treating a variety of conditions. A number of ingredients can combine to cause pain in a body, including injury and posture issues. Oftentimes, the body reacts to pain in a way that ends up causing muscles to guard the affected areas. As a result there can be a great deal of pain. Tennis Elbow and Golfer’s Elbow are two conditions commonly caused by repetitive movement. IASTM uses specially designed, ergonomic tools to locate and treat issues within the soft tissue areas of the human body. Elite Spine & Sports Care therapists are specially trained in IASTM. Our therapists at Elite Spine and Sports Care of Totowa are specially trained in IASTM. Our therapists use instruments which vary in shapes and sizes to isolate the affected tissue and gently work on it to generate healing. The technique works well and results in improving the symptoms associated with the compromised tissue. IASTM works well with running related injuries, as well as plantar fasciitis, chronic tendonitis, tennis and golfer’s elbow. IASTM therapy, coupled with exercise and posture work can reduce pain and heal the body. The New Jersey physical therapists at Elite Spine and Sports Care understand that injuries, pain, and conditions caused by repetitive motion can be tackled from multiple angles. The right blend of treatment can lead to not only the elimination of pain but returning to an active lifestyle. Lumbar spinal stenosis can cause a narrowing of the spinal canal and pain and burning down the legs and flexion distraction therapy can be the answer to this discomfort. Physical therapy can provide non-surgical relief to this painful problem. The use of flexion distraction to open up the spinal canal and relieve pressure off of the spinal cord can ease the pain and eliminate the burning. Addressing lumbar spinal stenosis through physical therapy in Passaic County can improve your quality of life and get you back to living the active lifestyle you enjoy. Elite Spine and Sports care of Totowa has experienced chiropractic doctors on staff to address your spine issues and help you get back to a pain-free existence. Lumbar spinal stenosis typically develops slowly over time and often represents with pain that comes and goes. The pain associated within spinal stenosis goes away with rest but unfortunately returns when you return to activity. Opening up the spinal chord or canal causes the relief you want but the moment you return to an upright posture the pain can return. Flexion distraction therapy can alleviate the pain. Flexion distraction is a chiropractic technique with an eye on increasing the motion of the spine and helping with bulging discs as well as herniation. This form of physical therapy is gentle and helps with the pain as it takes the pressure off of the spinal nerves. This technique is a way to address the discomfort caused by lumbar spinal stenosis without undergoing surgery. While surgery could end up being necessary the use of flexion destruction therapy is a great alternative to try first. Flexion distraction therapy uses a special table that moves in an automated and gentle motion, allowing the spine to flex in numerous ways. At the same time your chiropractor will implement some manual techniques to address specific disc herniation or bulging issues. This form of physical therapy is designed to put the bulge back in the spine while at the same time exercising the healthy vertebrae, keeping them well articulated. The goal of flexion distraction therapy is to allow the spine to move correctly in a manner that will remove pressure from the disc bulge. It does this by creating a negative pressure that pulls the disc bulge back into the spine. The flexion distraction motion maintains healthy discs in addition to working on those that are compromised. The motion allows nutrients into the spinal disc and keeps them well articulated. Make an appointment with your NJ physical therapist to learn more about physical therapy for lumbar spinal stenosis. Our chiropractors are well versed in flexion distraction therapy and look forward to describing the process and answering your questions. Let Elite Spine and Sports Care of Totowa serve as your guide to physical therapy in Passaic County New Jersey. Disc herniation in the spine can cause radiating pain down the arms and/or legs. Back pain can be crippling to those that experience it. This type of pain can be intolerable and its treatment essential. Physical therapy options in Passaic County for Disc Herniation Treatment include manual therapy, therapeutic exercises focused on strengthening and stabilizing the muscles surrounding the spine, deep tissue laser therapy, and therapeutic modalities. The important thing is to schedule an appointment with a physical therapist and get started locating the best avenue toward pain relief for you and your body. What is a Disc Herniation, or Herniated Disc? Herniated discs can result in different symptoms for different people. Some people feel no pain where others are sidelined from activities. Herniation of a disc means that the soft center of a spinal protrudes through its tough shell, when this pushes on a nerve the pain that results can be excruciating. This often travels to the arms and/or legs, interfering with basic movements. While medication and sometimes even surgery are called for to treat the pain it is physical therapy that can address your body and help it address the issue and help deter future issues. Physical therapists in Totowa NJ can help you with exercises and posture to first address the pain associated with a herniated disc. Preparing the muscles around the spine to correct your posture is essential for relieving pain. In addition to strengthening these muscles the ability to use pinpointed, deep laser therapy can get deep into the tissue and muscles and relieve your pain without the use of medicine or surgery. Learning what techniques work best for your body and how strength and posture can help prevent future issues related to herniated discs can help both alleviate current pain and prevent future injury. Educated and experienced Totowa physical therapists can provide you with the necessary tools to improve your quality of life. Physical therapy offers non surgical treatment for herniated discs. Correct posture and muscle development are essential to living a healthy and active lifestyle.